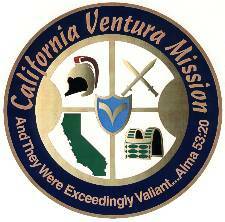 Welcome to the site dedicated to all the missionaries who served in the California Ventura Mission of the Church of Jesus Christ of Latter-day Saints. Please feel free to browse the Alumni Database, check out the Recent News or post to the Message Board. Please let us know if anything needs to be corrected or to add something. Suggestions and Comments are welcome. Copyright © 2003 - 2012 LDS Mission Networksm · mission.net / ldsmissions.net · All rights reserved.